Jumeirah Beach Residence ticks off all the right boxes when sourcing for the ideal location for various types of events – whether it is a business function, formal gathering or private occasion. 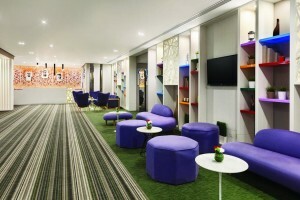 Different hotels located at JBR provide venue options for formal events; likewise, other corporate activities like team-building, where fun and creative activities are involved, can be carried out at the nearby beach in-between breaks without the need of booking an expensive resort hotel. JBR is conveniently located within less than 15-minute drive from Dubai’s prominent business hubs including Jebel Ali Free Zone, Dubai Marina, Dubai Media City, and Dubai Internet City. The JBR community is highly accessible to various public transports in the emirate including Dubai Tram and Dubai Metro, as well as through public buses. It is also easily reached by taxis and private vehicles through various routes including Sheikh Zayed Road, Dubai Marina and Al Sufouh. Dubai International Airport (DXB) is 25 minutes away, while the new Dubai World Central (DWC) Airport is just a 20-minute drive from JBR. Jumeirah Beach Residence is widely known for The Walk, the 1.7 km waterfront strip which features a hodgepodge of shops and restaurants. Shopaholics can take delight in swanky selection of local and international brands, while foodies are spoilt for choice with several cuisines from across the globe. Another popular JBR attraction is The Beach, a fun-filled entertainment hub with well-loved dining venues, and retail options with high-end labels. It also features a cinema, an arcade, open-air gym, and other fun activities for all age groups. With the forthcoming opening of Ain Dubai (Dubai Eye) at Bluewaters Island, JBR is expected to attract more visitors. Set to be become the largest and highest observation wheel in the world, Ain Dubai will soon achieve an iconic stature similar to Burj Al Arab and Burj Khalifa. For the art and social media enthusiasts, Jumeirah Beach Residence is also to home to a number of quirky and colorful street arts, plus outdoor music events, which are sure to spark one’s creative interest. For those wanting to combine business and leisure during their trip, JBR is also easily accessible to two of Dubai’s largest amusement parks – Dubai Parks and Resort which features three theme parks and one water park; and IMG Worlds of Adventure, the largest indoor theme park in the world. 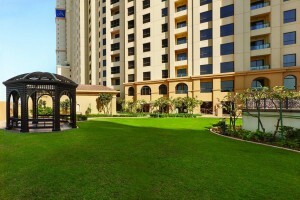 Located at Shams 3 Cluster of The Walk, Jumeirah Beach Residence, Hawthorn Suites by Wyndham capitalizes on its location in attracting both holidaymakers and business travellers. The four-star property provides well-appointed accommodation, and meeting room options for its corporate clientele within a reasonable price point. Hawthorn Suites by Wyndham has six event spaces, designed with successful meetings and conferences in mind. 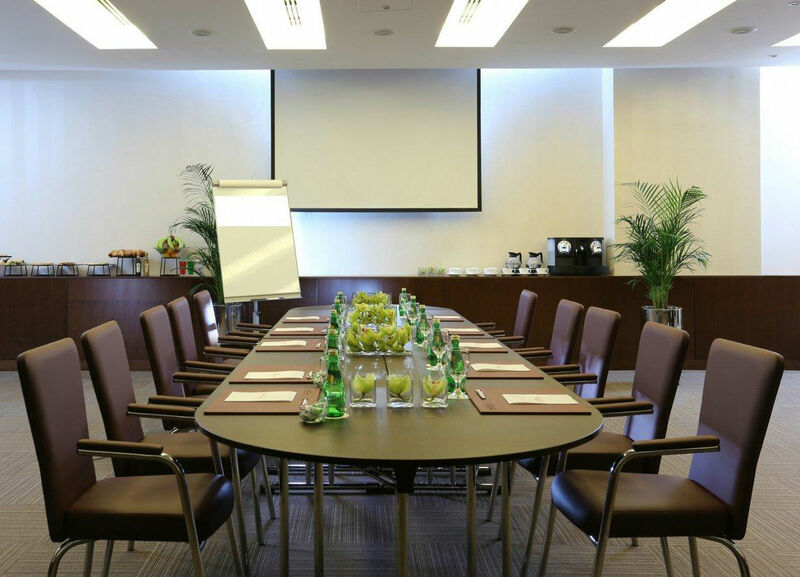 Depending on the set-up and requirements, the meeting spaces can accommodate up to 80 delegates. To top the experience, the food and beverage options for coffee breaks and lunch are prepared by highly-skilled chefs, served by the professional crew, and complemented by top-level service from the entire hotel team. For a limited time only, just quote fmloveshs2018 on fluidmeet and you’ll receive an extra 10% off your event. Fluidmeet loves our venues and we want to share that love with you!